Here is a list of 11 things that I consider weight loss basics or keto basics that help me lose a regain from following the basic things that I did while on Keto the first time. It’s been almost 3 years since I had weight loss surgery and two years since I hit my goal weight. I’ve put on a few pounds from where I usually hover, and I’ve decided that while that is not the end of the world, I don’t like it. I look at my pictures, and I can see the extra weight even though it’s just a few pounds. I have some additional fat on my upper stomach and on my back that wasn’t there before, my pants are tighter and I am not happy about any of it. 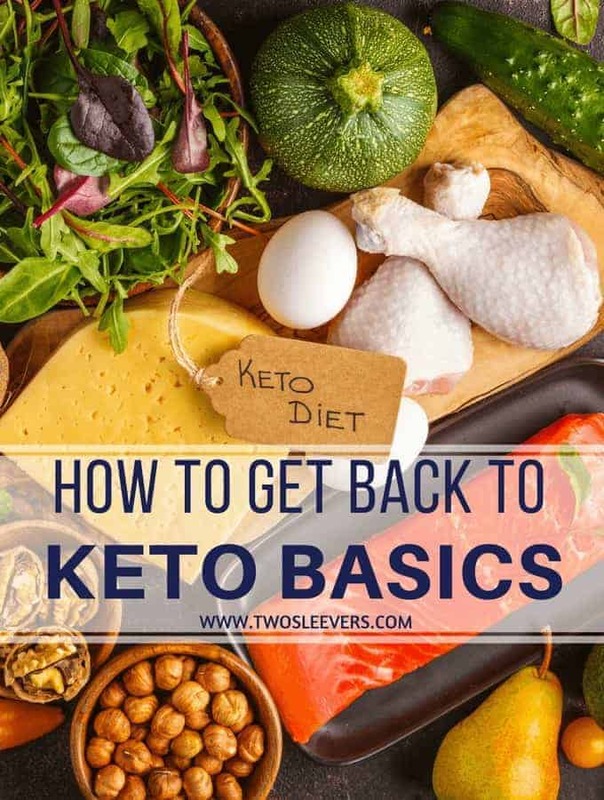 It’s time to get back to Keto Basics. WANT TO KNOW WHAT I DO EACH WEEK ON KETO? CHECK OUT MY DIET PLANS BY WEEK HERE! I’m glad I was able to maintain for so long without regain, but I see that I’ve drifted away from some basic habits I had, so here is what I know I need to do. These were the Keto Basics and Weight Loss basics that really helped me lose the weight in the first place. Go back to pre-planning and tracking. I used to plan by meals the night before or that morning, and I used to track everything I put in my mouth. I don’t know why I stopped doing that, but I must do that again. It only takes about 10 minutes, but it pays off big time. Drink lots of liquids. Often when I think I’m hungry, if I drink a little bit, it will take care of it. I’ve stopped focusing on how much I drink, but that’s an easy fix. Eat no more than 1/2 cup to 1 cup of food at a time. Earlier on, this is easy. But as your capacity grows, it’s very easy to eat more in one sitting than you should. I have to get back to eyeballing my portions again. Weigh all my food. I am still pretty good at being able to guesstimate weight, but if you go over an ounce or two at each meal, that adds up to several hundred more calories than you should be eating, so it’s back to weighing again. Fast between meals. NO grazing. If I got hungry within 3-4 hours of my last meal, I used to drink instead because I knew that couldn’t be real hunger. Not only does it limit calories, but it also reduces my insulin response. I have to remember that I am either feasting (eating) or fasting (going without food). And your body doesn’t burn fat when feasting. so the longer I fast, the more I burn. Saying no to carb-based dishes like sandwiches, pasta etc. These have definitely crept back in. Used to be, I didn’t even think about it, certain foods were just taboo. Now I eat them too often and it’s showing. Monitoring carbs and keeping them below 40 gms for weight loss, and below 75 gms for maintenance. I am super carb sensitive. While others can eat a lot more than 75 gms for maintenance (after all, 100-150 gms is considered low carb by American standards),I didn’t win the genetic lottery on this one. So it’s time for me to cut my carbs. Eating more protein. Not eating enough protein is what got me in trouble in the first place. I’m a reluctant carnivore and would rather eat carbs than meat. But that doesn’t work for me. I’ve been tracking for three days and I see how low my protein intake is. I need to up that ASAP. Accepting hunger and not thinking it needed to be fixed immediately since often it went away. Truth is, there’s no way to lose weight without being hungry, so I just need to accept that I will be hungry, and move on. Be patient. With my record, it wouldn’t surprise me if I only lost a pound every other week. If I want to lose 10 pounds, it may be close to 4 months before I can do that. So I just need to get into that mindset. So basically, just act like I did right after the surgery when I was trying to lose weight and accept that I will have to do this for the rest of my life. I really don’t know why I was in such a hurry to get to my goal weight–nothing has changed. I still need to do the same things I used to do while losing. Day three of low carbs and I’m tired, hungry, and everyone is annoying me. Wish me luck! This is a good reminder of how to “get back on the horse.” Last year I lost a lot of weight – 70 lbs, no surgery – and it’s creeping back on. 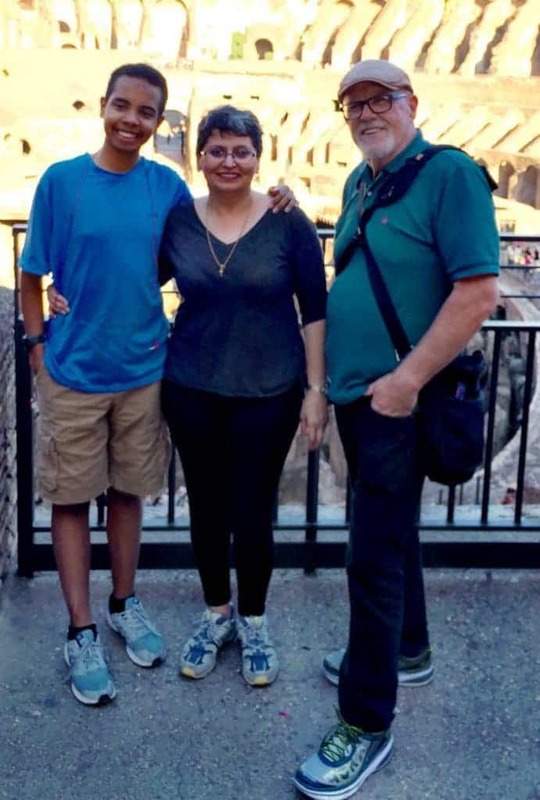 It’ was easy when I was splitting time between my grandkids and my husband. I didn’t cook elaborate meals when staying at our AZ house. But when my husband is around, he loves my cooking so, that it’s kind of enabler. And now that he’s retired and we are both living in AZ…well, I cook to make us happy. And bake…and make fancy Sunday dinner for us and the kids and grandkids. Guess it’s time to go back to tracking everything that goes into my mouth, especially those carbs. No more yummy basmati rice for me! Thank You for the important reminders, I appreciate it. I shared your link with the Baylor Carrollton Bariatric Coordinator and she discussed and shared it in group last night. OOh, I feel famous! Thank you for sharing it, and thanks so much for letting me know. Good for you. From my lowest weight, which I only stayed at a short time, I got to a weight I stayed at for a while, but now I’m up 19 pounds from that. I really have to work hard to lose any weight now. I have to go back to basics too and see if that helps. Pam, that’s my biggest fear. That what worked before, won’t work now and that I’ll be struggling to lose weight just like I used to before. I’m having to fight that mindset pretty hard right now. You’re welcome! Same things I had to do 3 years ago. Good luck. I’m in the same situation now and it’s been 1 1/2 years. I have gained 8 pounds and can feel it and see it. Going to read all ur pointers. Thank u!!! You’re welcome! Do let me know how it goes.